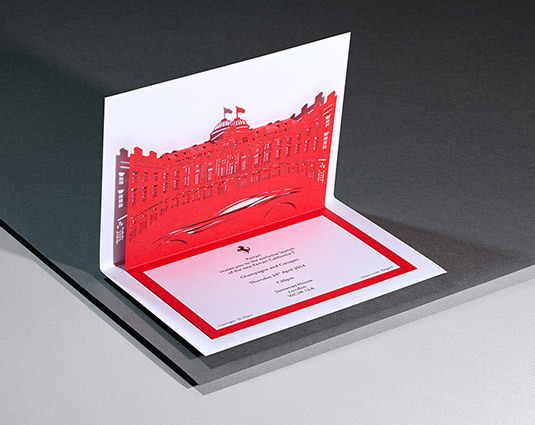 A simple yet effective pop-up invitation for iconic car brand Ferrari. 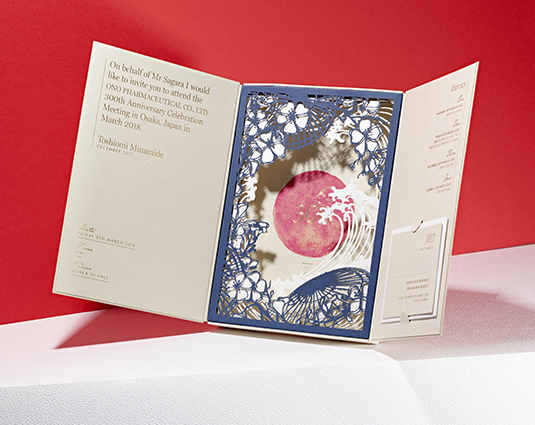 Ferrari were launching their Spider 488 in Regent Street, London and required an elegant, stand out design for this important event. 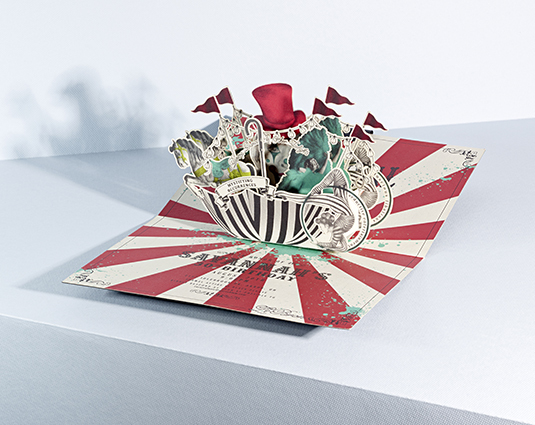 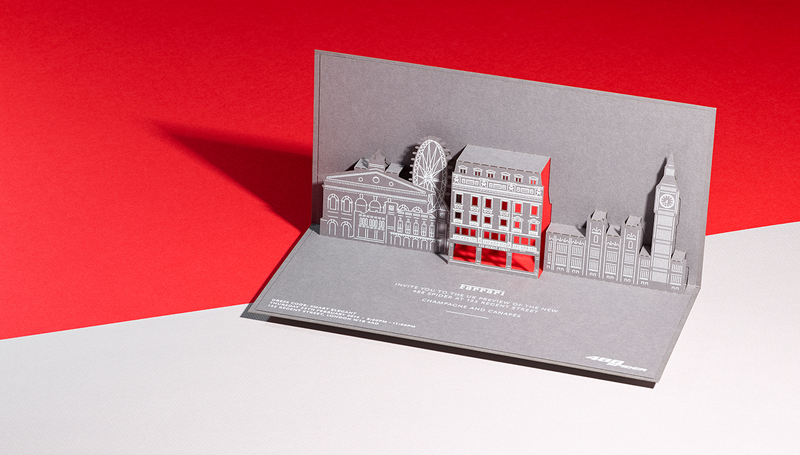 An illustrated London scene incorporating the venue was the basis for a simple pop-up mechanism, using white ink on grey card, with the Venue laser cut out of the illustration to reveal the iconic Ferrari red behind.